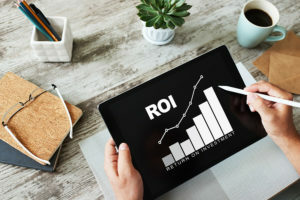 Analytic Partners recently released their “ROI Genome Marketing Intelligence Report” which highlights the marketing trends they have discovered “working with some of the biggest companies from around the globe with well-known brands across industries.” After reading and discussing the report, these are what we decided are the takeaways for small to medium sized plumbing, HVAC, electrical, and home industry contractors. Online didn’t kill Offline advertising. Online marketing is still outperforming offline advertising, but offline advertising has remained stable and held course. The cost of online advertising continues to increase, and this has started to affect ROI. With more industries and companies entering the online advertising venue, competition has increased. This means that more than ever it is important with each campaign to emphasize the 3 R’s: The right message, to the right person, and the right time. While online advertising may outperform offline advertising (for larger companies), a combination of the two provides even better ROI results. As mentioned in the last point, the three R’s are still as important today as they were 30 years ago. Direct mail, television, and radio are still impactful for Plumbing companies (and similar industries) who need to influence their local market. Because home service companies provide their services at the customer’s home, marketing to the home is still a valid and high performing method. This report supported what we have been saying all along – – -other forms of media drive internet searches. We have consistently found that customers who receive a direct mailer will often go to the website to get more information, and then call the number located on the webpage instead of the direct mailer. This is one of the reasons call-tracking isn’t as reliable as a CSR asking a potential customer “How did you hear about us?” A combined channel approach is a healthier marketing strategy especially when a potential customer searching online can hit the back button and go to the next link. Putting your name in their hands and inspiring their search, and maintaining a local feel, will help the success of your online advertising efforts. Contractor 20/20 has always focused on a combined channel approach. From branded equipment stickers, to high performing postcards, to brand new websites, we take your budget and create a personalized campaign that takes advantage of the best that old and new media has to offer. Starting with industry leading research, we identify your best customer and help you reach them with the right message at the right time.